The 4-Piece Large Cookset features the same 0.9l Heat Transfer Kettle and medium Saucepan as the 3-Piece set but with the addition of a larger fry pan and also a large saucepan making it ideal for the angler that really likes to cook up a feast on the bank. 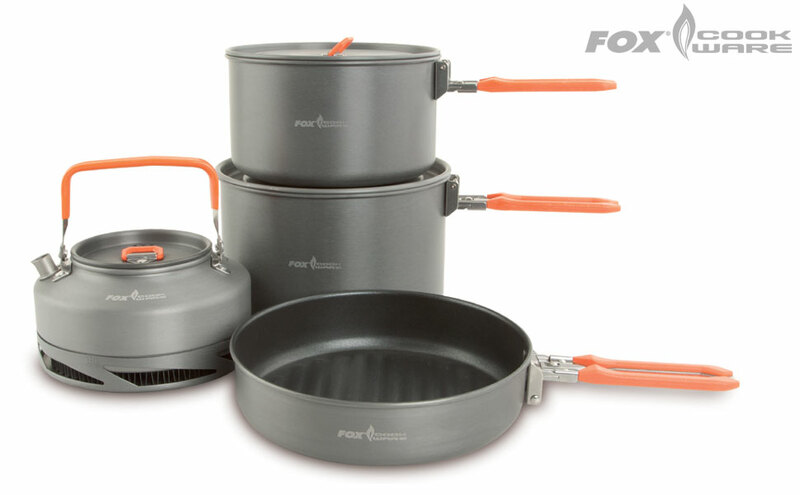 As with the 3-Piece set all of the pans feature the thicker wall and higher quality non-stick coating. 4pc Large Cookset – 13cm Height x 19.5cm Dia. 3pc Medium Cookset – 11cm Height x 17.5cm Dia.